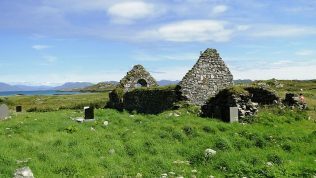 On resigning his position at Iona he set sail for Ireland in 668 A.D. With 30 Irish and Saxon monks and set up a Monastery in Innisboffin. The Saxon monks were industrious and tilled the land during the growing of crops for the survival of the community. Whereas the Irish went to their kinfolk in the mainland, coming back in Winter and consuming the fruits of the saxon labours, this led to tensions in the community after a short time. It was a recognised centre of learning. Its Library was equal to that of Kells and Augburg in Germany. It attracted many students from Britain and Europe including Saxon Nobility. 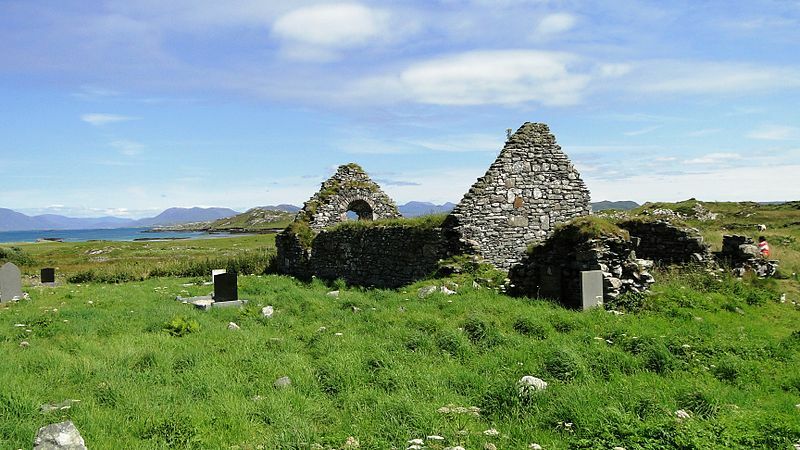 The site is one outstanding importance within the history of European Monasticism. In 731 A.D. Bede wrote “For this is the place grown large from small beginnings….houses a distinguised community of monks drawn from English provinces”. At the Synod of Kells in 1152 A.D.The Abbey was upgraded to the “Diocese of Mayo” making Mayo into a wider division than ‘Maigh Eo’. The mapping of the 16th cent brought a greater sense of identity of Mayo being a County unit, to replace the smaller kingdom’s that were in the region at that time. The land surveys of the 17th century utilised Mayo as an administrative division. The Grand Jury was the earliest form of local govenment, replaced in 1889 by the Co. Council System. 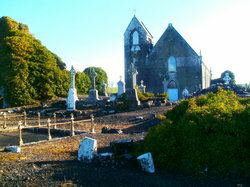 Colmans last days were spent on Innisboffin where he died in 667AD. 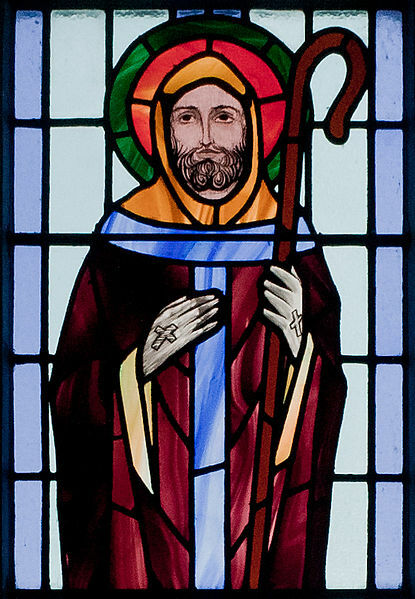 His feast day is celebrated on the 8th August. Quinn, J.F: (1993) History of Mayo, Vol 2, Chapter 1. Quinn, Western People, Ballina.